In the Kitchen Aid mixer. If you have a Bosch, use the wire whisk attachment. Remove the bone from the meat and any large pieces of fat. Attach the flat beater to your mixer. 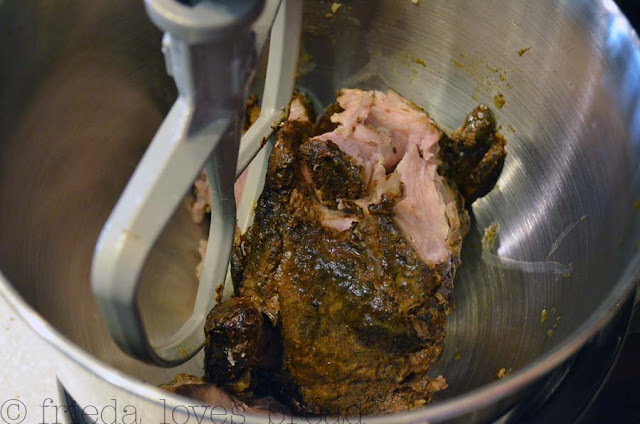 Start your mixer on low, then increase the speed, shredding your meat to the desired texture that you want. This was so fast, and so easy. No more handling hot meat with forks or gloves! looks like a delicious sandwich! great tip!! Ooh! What a great idea! 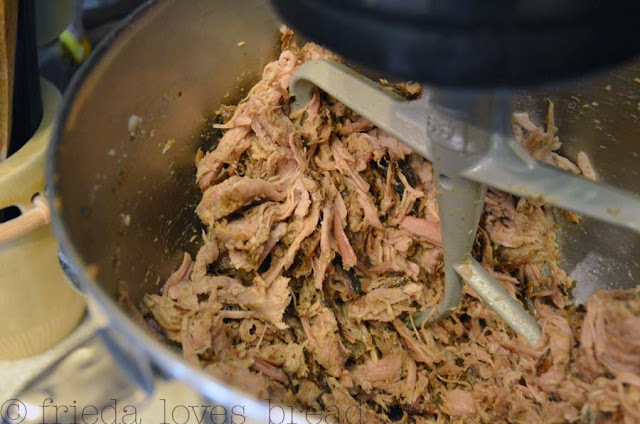 I love sweet pulled pork (Like the kind they serve at Costa Vida), but shredding it after it cooks is always such a pain. This looks so easy...thanks! 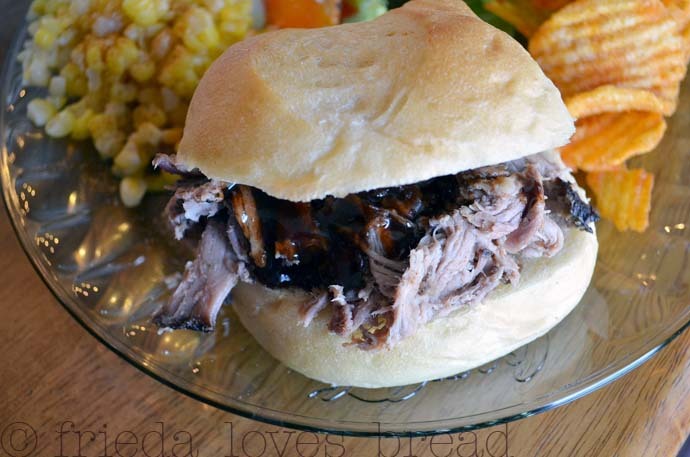 I think I love you even more than I already did, Frieda! 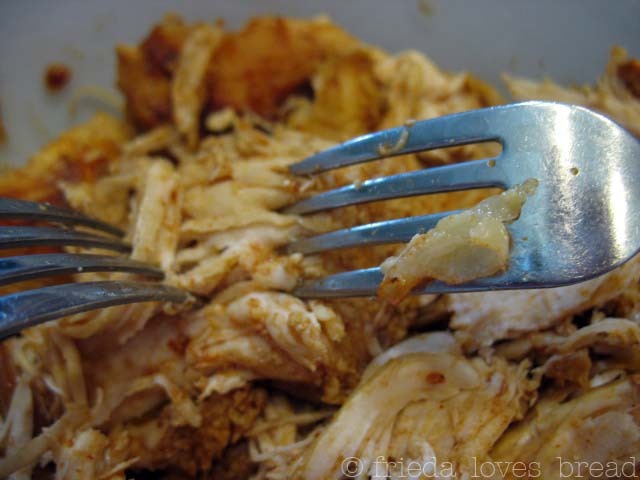 :) I hate shredding meat....you're a genius! Great Idea Frieda. I'm going to give this one a try. I ♥ this idea! Looks like it makes quick work of shredding! Definitely going to try this out & pinning it! YES! That works just wonderfully! I started doing that myself about 4-5 months ago. It sure saves a lot of time and pain in your hands too.